Caroline was so wonderful to work with and we cannot recommend her enough. My husband and I are navigating through raising our first baby. We contacted Caroline when he was 6 months to try to get him good sleep habits as we transitioned him from our room to his own. He wasn’t napping well during the day, was taking a long time to fall asleep, and was waking frequently at night. Caroline gave us really digestible, useful tips to help us…really she was our counselor to teach us how to let our son sleep as he needs to. She worked with our comfort level for sleep training, and by the second night he slept 12 h. He has continued to sleep well at night, and is slowly getting better with his naps during the day. Caroline has a calm presence that made us feel confident throughout this process. Additionally, she’s just so relatable and like-able that it made the experience that much better. Our world has been wholly different since working with Caroline. It’s so nice to have more of a routine and schedule, and our son is more well rested! My 2.5 year old has had sleep issues for as long as I can remember. I read all the books and did all the things, including using a sleep consultant when she was 14 months old. Nothing helped. Nap time was a fight, bedtime was a circus, and my toddler would wake up several times a night – sometimes upwards of 6 times. After getting help from Caroline for a mere two weeks, my toddler’s sleep has improved DRAMATICALLY. I no longer dread putting her down for naps and bed time, as the process is short and drama free, and my kiddo is putting herself to sleep AND sleeping through the night the vast majority of the time. She still likes to test me sometimes, because she’s two, but I have clear action steps to take to deal with any issues that arise. Caroline will give you a step-by-step plan to use to help your child (and therefore everyone in the house!) get much needed sleep, and she will help you to troubleshoot and overcome any challenges that arise along the way. As a Nutritional Therapist, I know that sleep is VITAL to health, so if your child is having any sleep issues, I HIGHLY recommend Caroline! I wish I would have found her a couple years ago so I could get all of that sleep back! Thank you, Caroline! You have truly changed our lives. If you are considering this and exhausted… LOOK NO FURTHER! This was by far the best investment for our family, marriage, and especially for the health and happiness of our 10 month old. He went from waking up 6-8x a night at 9.5 months old with multiple cat naps and cranky during the day…..to 12-13 hours of sleep at night (even with 6 teeth cutting through! ), longer naps during the day, and is a much, much happier baby! She explains it at a scientific, evidenced based level (slept debt, cortisol, melatonin, restorative sleep, immune system), but also with empathy/sympathy for an exhausted parent…after all, she has been there. She is very supportive of your feelings, opinions, and concerns. Sleep training comes with a lot of these! I’m still not 100% convinced it’s not witchcraft because I am just blown away 🙂Kidding, of course. But it works! We had him trained in 3 nights for the most part. THERE IS HOPE! Cheers to a restful night’s sleep! What a life changer Caroline has been for our son and our family; hiring her was the best decision we ever made. Our 5 month old son has GERD and was not napping or sleeping at night at all. He would only sleep for 2 hours at night if we held him. We felt so lost, sleep deprived, and frustrated. Our son was suffering too from being so overtired and not being able to self-soothe. Caroline came in with an easy plan, lots of support, communication, and information. By night two, our son was sleeping in his crib for the first time for 7 hours straight. Our son is so much happier and well-rested and we feel like we have our sanity back. I can’t recommend her enough; I have told every new mom I know. Don’t wait, hire her! Caroline changed our life twice in my daughters first year. First to help her fall asleep as a newborn and then to help her stay asleep as an 11 month old. As a parent it is easy to question everything you do and the impact it may have on your child. Having Caroline’s advice and support made me more confident as a parent. Caroline is a pro and a wonderful resource! Her plan is straightforward and not overwhelming. She has answers for all kinds of questions (and we asked lots of questions! ), and she is always wonderfully responsive. Our sweet babe is almost five months and already sleeping well at night thanks to a few tweaks from working with Caroline. This type of sleep will continue to have great implications as she grows and changes over the next few years. Absolutely worth it, and we won’t hesitate to stay in touch with Caroline if we need to do so. Of course, Caroline gave us so many great tools that we may not need to think about sleep consulting again. What a WONDERFUL investment it has been to work with Caroline! As a first time mom, I was having trouble navigating all the conflicting information on sleep that is offered in books, articles and moms’ groups on Facebook. I knew things weren’t working optimally for us, but I was so overwhelmed in trying to figure out HOW to implement best plan of action. Ever since my son was 3 months old, he was waking up 5-6 times a night, and would only nap during the day for 30 minute spurts, never at any regular times. My husband and I were exhausted, and it turns out, as Caroline diagnosed, that my poor son (now 6 months) had sleep debt as well. After I contacted Caroline, we had an initial video consult to help her understood our particular circumstances. She then helped me to determine a concrete plan that we felt comfortable with. Her strategies were very much evidence and science-based, and she coached us through everything with both firmness and kindness (exactly what a coach should do!). She was a joy to work with and was so helpful in answering my questions throughout the week (though I ended up hiring her for 2 weeks because she is so good). We saw results immediately after the first night! But I kept her on an additional week, just because there are so many nuances and “what ifs” to address with sleep. Once our time wrapped up, she gave me a plan for the future with things to keep in mind as my son develops and grows. Caroline has given me so much more confidence as a mom… she is worth her weight in gold! My only regret is not hiring her sooner! Now my son is sleeping 10-12 hours a night, napping regularly and is so happy and content when he wakes up. Thank you, Caroline!! I worked with Caroline using her retainer option and it was a life saver! She helped me trouble shoot my daughter’s sleep problems. After I started using her suggestions, my little one started sleeping SO much better. Which means I sleep better too! Win-win 🙂 I would highly recommend Caroline to any parent who knows their child could be sleeping better than they currently are! Caroline was a great resource for us in helping get our 13 month old back to sleeping through the night when we hit a rough patch after a big daycare transition/developmental milestones. We were struggling to get things back on track with a willful toddler, and she helped us get him sleeping through the night again in a matter of days. Caroline is direct and honest, but not at all judgmental, and I felt like I could talk honestly to her about all our sleep habits – good and bad – to rework things and get it right. Caroline helped us with our 2.5 year old and his big boy bed. We had transitioned him to a big boy bed, and after almost a month we were literally sleeping on his floor just to get some sleep! Caroline helped us formulate a plan we all could live with and helped us get our son to buy in. In only 2 short weeks he is now sleeping through the night and has a clear understanding of the family sleep rules! Thank you Caroline for helping us all get back some sanity. You can’t put a price tag on healthy sleep for baby and family! But if you did, Caroline’s services are worth every penny. Prior to consulting with Caroline, our nine month old was waking 3-4 times a night and taking at least one bottle. After just one week of implementing the personalized plan from Caroline and he was sleeping a consecutive 11 hours and not taking any nighttime feedings!! I’m still in disbelief. The week wasn’t always easy but Caroline listened to our concerns and helped support us along the way. She made a plan with a comfortable approach for us and answered every question I had. She even provided us with research. At the end of the week she went above and beyond by guiding us with advice for upcoming trips/travel and handling time changes. 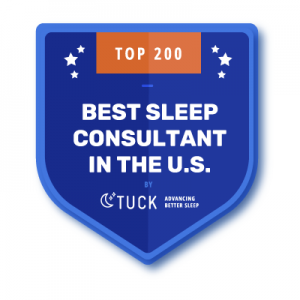 We highly recommend Up No More sleep consulting! I can’t tell you how much Caroline helped us! We came to her when my son was about 9 months old not sleeping well at night and not napping well. He is now 19 months old and sleeping wonderfully through the night and takes a good nap everyday still. When my mom and MIL have come to watch him they both commented on how well he slept and how easy it was to put him to sleep! Caroline is the best! We came to Caroline when our twins were 7.5 months old and all my attempts at sleep training on my own had failed. The boys were still nursing 1-3 times a night and would only go to sleep with rocking and or nursing. Naps were a mess and if they did sleep it was rarely at the same time unless we were in the car. I felt exhausted and at the end of my rope not knowing when or if I should let them cry or get them up. Caroline was kind and gentle helping me choose a sleep training method and she set up a clear schedule for us. She handled all my twin specific questions wonderfully. I had one twin who slept well at night and one that napped better. She helped me balance out their sleep and now they both sleep well at night and for naps. I am finally able to rest enough to see the joys of motherhood instead of just surviving each day. My husband and I are clearly on the same page with sleep strategies thanks to a clear plan from Caroline posted on the refrigerator. The boys sleeping also means I get to have real time with my husband, before this our conversations were limited to simple survival “did you change that one?” “has this one had his meds yet?” etc, now we can remember that we are adults and have some limited identity outside of parenthood. I cannot recommend Up No More highly enough. Both my husband and I agree this has been THE BEST money we have spent so far as parents. The value to quality of life is SO WORTH IT! I cannot recommend Caroline and Up No More enough. Our daughter had a multitude of sleep problems and lacked all self-soothing techniques. Caroline helped us realize that we were our daughter’s biggest impediment. With Caroline’s close guidance and aid, our daughter is getting all of the sleep she needs and our family is back to functioning and enjoying life. All that it took was one short but intense week and Caroline gave us our happy family back! As a first-time mom, it was very difficult for me to think about my son crying himself to sleep. I’m sure like many mothers the thought just tugs at your heartstrings. At almost 6 months old, I knew my son was ready and started to feel that I was in the way of him getting a good nights rest. After countless unsolicited advice from many other moms as well as the bottomless pit called “Google” – I finally found someone who could support me through the sleep training process. Beforehand, I had done my fair share of reading to try and educate myself on how to sleep train my son – and my husband being the “go with the flow” kind of guy that he is was ready to follow my lead. However, my lack of experience really made me emotional and anxious about the process. Caroline took time to listen to my questions and concerns, learned the details about my son, and created a plan that was perfect for him. She showed me a lot of empathy and patience when I felt discouraged and was a great ego-boost with every little win. She was speedy with her feedback and I truly felt like she cared about my son and his sleep. She kept me on track, didn’t let me quit, and because of that my son sleeps 12 hours a night AND has mastered naps! I am 100% certain I’ll be reaching out to her again in the future if needed and have already referred some friends. Caroline helped me get my son to a place of more rest, and I learned a lot of useful, grounded tips as a result of working with her. She is also a good coach who supported me along the way as I implemented her sleep plan. I would recommend her to anyone looking for help with their child’s/baby’s stressful sleep situation. Caroline is fantastic. As a mom of twins who have different temperament and sleep needs, Caroline was a huge help in guiding me in meeting their needs. For me it was really helpful to have a sleep consultant who encourages me rather than tell because I did a ton of research on my own already. Caroline worked with us during crib transitioning and gave us to best advice. Both kids were sleeping 13 hours by day 4!! After 6 months of sleepless nights Caroline saved my sanity. She worked with us and made a plan that fit our everyday life and schedule. The daily calls were a lifesaver and helped us stick with the plan. In a little over a week my 6 month old went from waking up 4 times per night to sleeping from 6pm to 5am. He also takes 3 naps per day, on schedule, and eats better. Caroline is amazing!! She did an excellent job of assessing my baby and developing the best sleep plan for our family! Changed our lives! Thank you! I cannot thank Caroline enough for her help and insight. After providing her with a log of our daughter’s sleep habits and answering a few questions, she created a plan that has made a huge difference. A few small tweaks, and she went from waking every 2-3 hours at night to giving us 6-8 hours stretches. Now she’s sleeping 12 hours straight! I so appreciate Caroline’s guidance. It’s been several months since our initial consult, and she still checks in to see how things are going. Highly recommend! Our daughter was born premature. The first year of her life was challenging to get her to sleep through the night because of acid reflux, illnesses and because of this being our first time as parents. When she started sleeping completely through the night around one-year, we thought we had figured it all out. We were able to watch TV together again, feel like ourselves at work—it was really wonderful. Then at around 18 months, that changed; like it does for so many parents at that time. She started screaming every time we put her in her crib. Where she once asked to go in her crib, she now screamed to point of vomiting all over herself anytime she got near it. What once took 20 minutes was now taking over 2 hours–day after day. The only way we could get her to take a nap was in the car, or by walking her in her stroller until she fell asleep. Then she started waking up at 3am and not letting us put her back in her crib. One of those nights, while she lay fast asleep on me while I was wide awake, knowing that I was going to be absolutely miserable and barely able to get through my workday, I started googling on my phone. 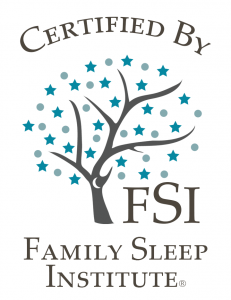 Through the “Family Sleep Institute” website, I found Caroline. I contacted her via Facebook that same morning. It is in no way hyperbole to say that she has been a life saver. Many of the online blogs said to just “wait it out” with respect to the 18-month regression and I’m not sure how we would have been able to do so—we weren’t sleeping and neither was our daughter for weeks on end. Caroline doesn’t provide the proverbial quick fix. What she utilizes in her toolkit is methodology that has been studied and published many times before. But what she offers you is the confidence to know that you will be successful. She is deeply reassuring and listens to your unique challenges, your parenting goals and incorporates that feedback into a plan that is the best for you. She makes herself available, especially during the first few nights–which are always the most challenging and anxiety inducing—to be your coach and remind you that it will get better. When she said the longest she’d personally experienced this lasting was 4 nights and the longest it could possibly last was 2 weeks, I didn’t believe her. After over a month of not sleeping, our confidence had been shaken. She restored that confidence and provided the experience that we did not possess. The first night was excruciating. Over 3 hours of blood curdling screaming that we weren’t sure would end. The next night was less than an hour. Then each night since, our daughter has fallen asleep, in her crib and on her own in no less than 30 minutes; many times, under 10 minutes. We have our evenings back to spend together and more importantly, our daughter has more energy, is happier for longer periods of times and even eats better since instituting the plan provided by Caroline. This is a journey that will have ups and downs. But if you find yourself in the place that we did: shaken, uncertain how to fix it and unable to sleep, consider Caroline. She will be able to provide you with a plan that works and the confidence to execute it. Caroline is amazing!! She was knowledgeable and so helpful when we used to her help our 2 year old who had sleeping problems. Within a week, he was sleeping much better! Caroline followed up very frequently and modified our plan as needed. She had great ideas that were realistic as well!! This morning I am enjoying my cup of coffee and eating my breakfast in peace, while my baby sleeps! In his own crib! A few weeks ago if you told me this is what I would be doing I would have laughed at you. My baby is a year old and would not nap without someone else and was sleeping in my bed all night long. In a week of following Caroline’s plan, he was taking 2 naps a day in his crib, also sleeping there at night with only 1 or 2 wake ups. Caroline not only provided a very detailed sleep strategy, but she talked to me daily to see how things were going. I honestly think that was the key to our success, sleep consulting with the added benefit of a therapist. Thank you Caroline for everything you have done for us. You have changed our lives! I cannot say enough good things about Caroline’s expert advice. My 6-month old daughter was waking up almost hourly and feeding often overnight, and had a very inconsistent nap schedule, often napping only in the stroller. Literally within 1 day of implementing Caroline’s plan, her overnight sleep and naps improved. By the end of the two weeks under Caroline’s plan, she was sleeping almost entirely through the night and taking 3 naps on a consistent schedule every day, in her crib. Caroline listened to our story and crafted a plan that was perfect for us. I am amazed with how well, and how quickly, it worked. Caroline was patient and encouraging, exactly what we needed! Thank you, Caroline! Now that you’ve read about how I helped other parents like you, click here to get in touch so I can help you, too!